Democratic Unity Rally, with 235 in Attendance. EAST HAMPTON, NY, Monday, July 2— Local Democrats held a successful Unity Rally to celebrate unified opposition to the current NY-1 U.S. Representative in Congress, Tea Party zealot Lee Zeldin. 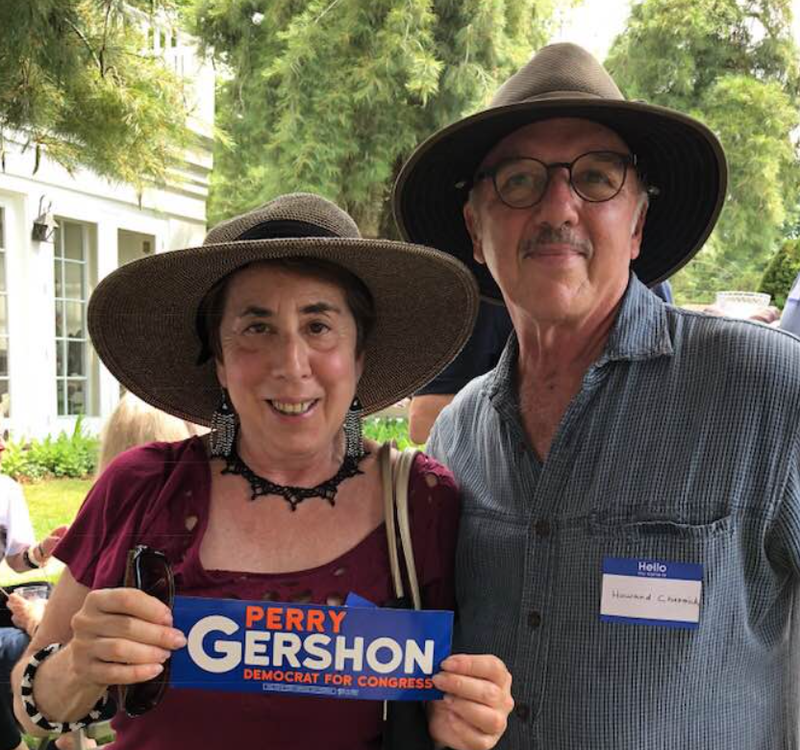 All of the four candidates who did not win last week’s Democratic primary showed up yesterday to support the winner, Perry Gershon. Despite 91-degree heat, 235 friends and supporters showed up to pledge their support for Gershon. Lee Zeldin. Photos by E Rautenberg. Momentum continued from the estimated 75 percent increase in turnout over that of the 2016 primary. The event was attended by two Democratic Members of Congress — 15-term Representative Nita Lowey, from the NY-17 (Westchester), and 12-term Representative Carolyn Maloney, from the NY-12 (East Side Manhattan, West Queens, North Brooklyn). 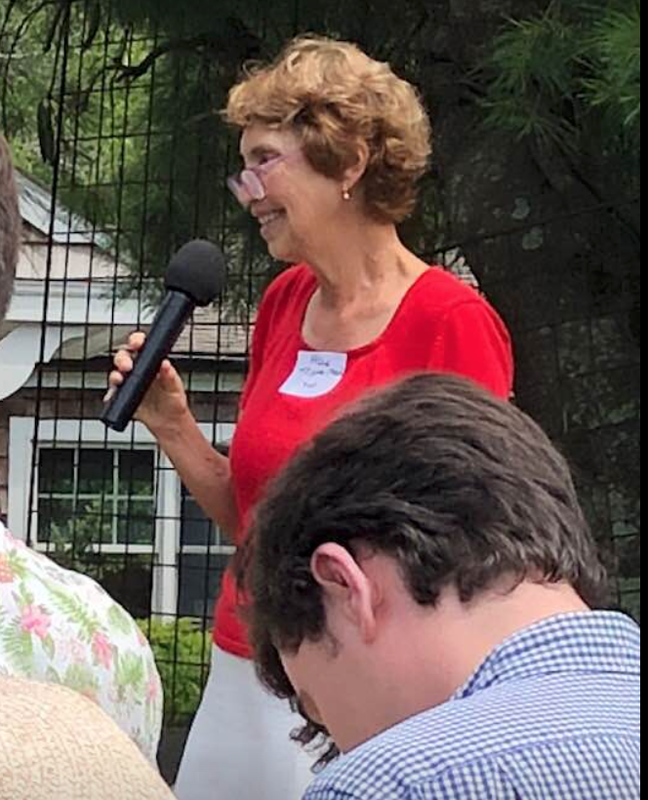 Also speaking was New York State Assemblywoman Christine Pellegrino, who in May won a celebrated upset victory in a district on the Nassau-Suffolk county line that has been strongly Republican. 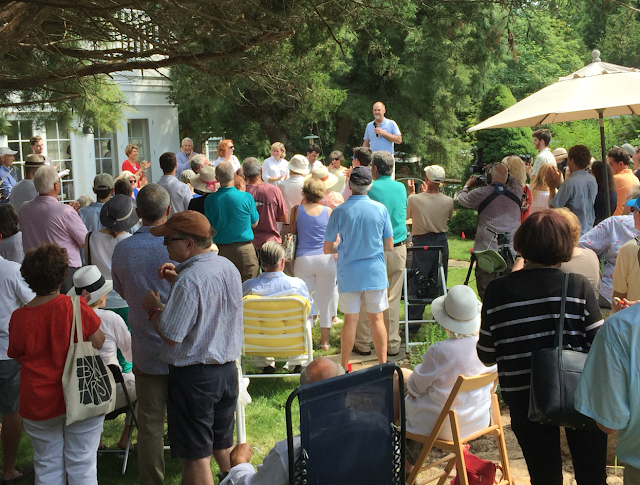 The event was held at a private home in the center of East Hampton’s Springs Historic District. 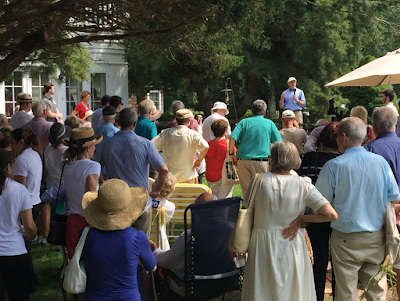 The East Hampton event was organized by several grassroots organizations that have emerged since the election of the president, primarily East End Resist & Replace, with encouragement from Let’s Visit Lee Zeldin and others, in collaboration with the East Hampton Town Democratic Party. Participants in the event included Peter Van Scoyoc, Town Supervisor, and members of the Board such as Sylvia Overby. Former Congressman Tim Bishop was also on hand. Speakers discussed activities applicable to all areas of the country for defeating allies of President Donald Trump. The volunteers checking in guests counted 210 people, with another dozen from Perry Gershon's campaign team. The total attendance count was 235. 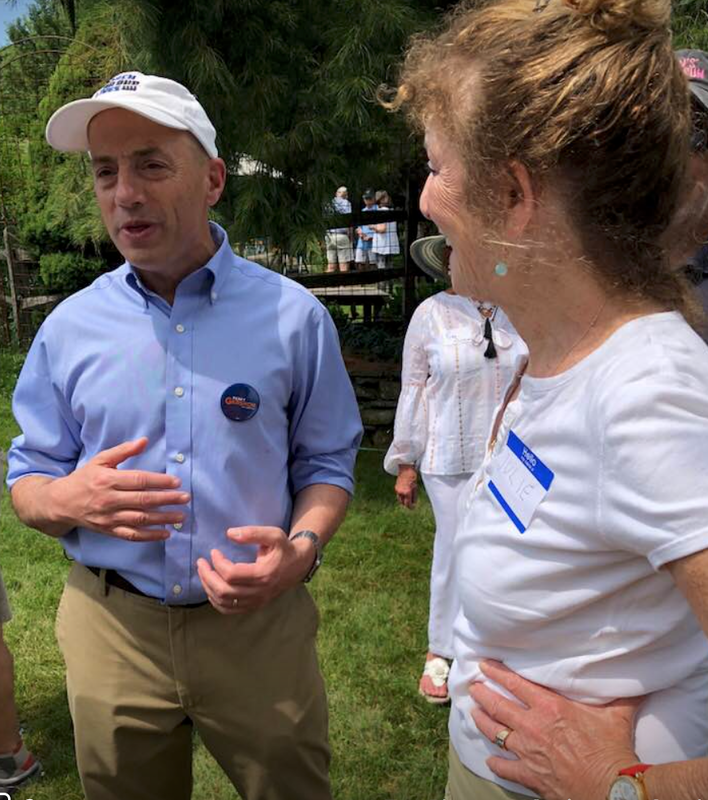 Peter Van Scoyoc, East Hampton Town Supervisor, calls on the four candidates who did not win the Primary to express their support for the winning candidate. They all were there and they all gave their support. It was a turning point for many. See also "Pink Army Forming" https://cityeconomist.blogspot.com/2018/07/anti-trump-bump-women-dominated.html. MCCAIN | Trump "Abased" before Putin "Tyrant"
CANADA | "There Is No Planet B"
HEIDI FISKE | Mexico Ready to Embrace China?